Submitted by :BILAL RIAZ CHUGHTAI. Group members:BILAL RIAZ CHUGHTAI, MUDASSAR MEHMOOD GHUMMAN, MUHAMMAD SOHAIL SALEH and AOON MUHAMMAD HANIF. Supervised by: Dr. ATTAULLAH SHAH. In the world of construction, concrete like other materials is playing an important role in development. concrete is a composite material which is a mixture of cement, fine aggregate , coarse aggregate and water .The major constituents of which is natural aggregate such as gravel, sand, Alternatively, artificial aggregates such manufactured sand furnace slag, fly ash, expanded clay, broken bricks and steel may be used where appropriate. It possesses many advantages including low cost, general availability of raw material, adaptability, low energy requirement and utilization under different environmental conditions. The goal of sustainable construction is to reduce the environmental impact of a constructed facility over its lifetime. Concrete is the main material used in construction in the world. Due to increase in Construction and Demolition activities worldwide, the waste concrete after the destruction of any infrastructure is not used for any purpose which is totally loss in the economy of the country because natural resource are depleting day by day. The debris is also a major problem for municipal authorities to dispose of at particular location. It is most common practice in all over the world that most of the materials (paper, plastic, rubber, wood, concrete, etc) are being recycled to save the natural resources and environment. Concrete is such a costly material but Now a day’s waste concrete is only being used as a landfill material instead of recycling the concrete as a recycled concrete aggregate (RCA) to use for the construction purposes. Therefore concrete will continue to be the construction material in the foreseeable. There is need to improve its properties like workability, strength and durability of concrete. The research has been executed in order to utilize smaller quantities of cement and aggregates, also conserve our natural resources of raw material, and reduce the cost of structural concrete. The concrete technologist’s are continuously making efforts to overcome problems in different ways and are making improvement to conserve energy, raw materials, development of high strength concrete, pre-stressed concrete, high early strength , low possible water/cement ratio while maintaining high workability, to improve mechanical and structural properties of fresh and hardened concrete so as to make structural concrete as economical. To achieve sustainable issue in construction area, researchers and companies focus on using waste concrete as a new construction material. It is called recycled aggregate which can be produced by concrete crusher. The aggregates are categorized by size as coarse and fine aggregate. If recycled aggregates were practically useful in construction area, two aspects would be expected. One is illustrated at the beginning of introductions; the other one is that we could reduce consumption of natural aggregate resources. Although using recycled aggregates has great opportunity to preserve healthy environment, the properties and characteristics of recycled aggregates has not been fully investigated yet. Since it is hard to standardize the characteristic of recycled aggregates, all the researchers who study recycled aggregate should perform experiment of their concrete, which will be used for recycled aggregate, to gain the characteristics of their specimens. The characteristic of recycled aggregates could be different by its parent concrete because the parent concrete was designed for its purposes such as permeable, durable and high strength concrete. For example, water to cement ratio of parent concrete will give an impact on water absorption capacity of recycled aggregates which is related to characteristics of concrete issue such as durability, permeability, and strength. In the future it may be useful to find new source of aggregate for the production of concrete due to increase in demand for and decrease in supply of natural aggregate. Increasing number of concrete buildings are being demolished and the difficulty of disposing of the rubble has prompted an interest in the possibility of using crushed concrete as aggregate in new concrete. Revealing the fact that concrete is manmade composite material, which consists of binding medium within which are embedded particles. The binding medium is usually a cement water paste. The mineral filer or rock particles which are suspended in paste are called aggregates. Aggregates can range in size from grain of sand to a stone several inches in diameter. The purpose of the paste is to fill the voids in between the aggregates and to give the strength to the hardened concrete. The purpose of the aggregate is to provide cheap filler for the cement, and to reduce the volume change of concrete when it hardens. In ordered to be considered a mass of concrete, as mass must be workable when freshly mixed. When concrete is made, it has to be able to be pumped to a different location or be able to set in certain position. Also when concrete is hardens, it has to become as hard as stone. While the purpose of concrete is to provide a cheap but strong material, concrete still must have acceptable quality. Concrete is typically use for building and paving material, but also has countless other uses. Recycling concrete is a viable option to decrease the demand on high quality natural resources and to limit the amount of waste that is disposed in landfills. Recycled concrete has been primarily used as a unbound material in embankments, bases, and sub-bases. Engineers have also used recycled concrete as an aggregate in the construction of new structures such as concrete pavements but with limited frequency. The use of recycled concrete in load bearing structures has not gained wide acceptance probably because of the lack of accessible information on the subject, such as expected fresh and hardened material properties. Concrete is not the only recycled material that has been used in previous construction applications. Recycled asphalt, fly ash, and slag have been used in past projects. Recycled materials contribute to material sustainability, reduce environmental impact of demolished materials, and can have positive financial implications for certain projects. The cost of a project could decrease if concrete does not have to be hauled and dumped, and instead be used to replace a portion of virgin aggregate in the new concrete structure. 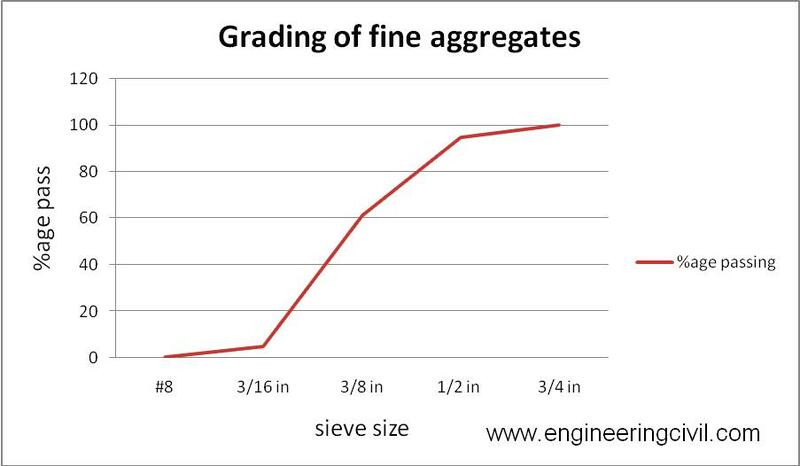 Aggregates content is a factor which has direct & far reaching effects on the both quality & cost of concrete unlike water and cement, which do not alter any particular characteristics except in the quantity in which they are used, the aggregate component is infinity variable in terms of shape & grading With fine aggregates, graded below fractions 5 mm sieve size, the difference in particles shape & surface texture affect bulk void content & fresh properties of concrete, leading to properties of hardened concrete. Aggregates those are chemically inert materials which when bonded by cement paste to form concrete constitute the bulk of total volume of concrete & hence they influence the strength of concrete to a great extent. Depending upon their size, the aggregate are classified as the fine aggregate & coarse aggregates. The material passing through 4.75 mm sieve size is termed as fine aggregates. Natural sand or crushed sand is usually mainly as fine aggregates in concrete mixes. Aggregates can come from either natural or manufactured sources. Natural aggregates come from rock, of which there are three broad geological classifications. Igneous rock, These rocks are primarily crystalline and are formed by the cooling of molten rock material beneath the earth’s crust (magma). Sedimentary rocks, These rocks are formed from deposited insoluble material (e.g., the remains of existing rock deposited on the bottom of an ocean or lake). This material is transformed to rock by heat and pressure. Sedimentary rocks are layered in appearance and are further classified based on their predominant mineral as calcareous (limestone, chalk, etc. ), siliceous (sandstone, etc.) or argillaceous (shale, etc.). Metamorphic rock, These are igneous or sedimentary rocks that have been subjected to heat and/or pressure great enough to change their mineral structure so as to be different from the original rock. Aggregates are produced in a quarry or mine whose basic function is to convert in situ rock into aggregate with specified characteristics. Usually the rock is blasted or dug from the quarry walls then reduced in size using a series of screens and crushers. Some quarries are also capable of washing the finished aggregate. Construction materials are increasingly judged by their ecological characteristics. Concrete recycling gains importance because it protects natural resources and eliminates the need for disposal by using the readily available concrete as an aggregate source for new concrete or other applications. . The states that do use recycled concrete aggregate (RCA) in new concrete report that concrete with RCA performs equal to concrete with natural aggregates. Most agencies specify using the material directly in the project that is being reconstructed. Recycling of concrete is a relatively simple process. It involves breaking, removing, and crushing existing concrete into a material with a specified size and quality. The crushing characteristics of hardened concrete are similar to those of natural rock and are not significantly affected by the grade or quality of the original concrete. Recycled concrete aggregates produced from all but the poorest quality original concrete can be expected to pass the same tests. Recycled concrete aggregates contain not only the original aggregates, but also hydrated cement paste. This paste reduces the specific gravity and increases the porosity compared to similar virgin aggregates. Higher porosity of RCA leads to a higher absorption. 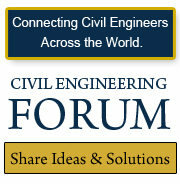 • Reducing the production costs of concrete in terms of natural resources, energy and economical costs. • Modifying the mechanical and physical properties of concrete in the fresh and hardened states. It aims to explore the effects of replaced materials on properties of concrete both in fresh and hardened state. It requires to examine strength & workability of concrete with recycled aggregate as replacement with natural aggregate and to enhance of compressive strength with aid of locally available material say recycled aggregate. Literature survey of recycled aggregate, previous research of concrete based on the recycled aggregate and effects on the important properties of concrete such as workability and strength will be studied. In this phase concrete samples will be prepared in laboratory. Approximately 70 cylinders specimens will be cast for testing the compressive strength of concrete. After 7, 14, 28 days the compressive strength of these specimens will be computed. Ratio of mix design is constant as 1:2:4. These results will be used to find the reduction in strength of concrete by using different proportion (0%, 10%, 20%, 30%, 40%, 50%, and 100%) of recycled aggregate with respect to natural aggregate tests will be conducted within estimated time. Experimental work will be executed, taking into consideration the physical properties of constituent’s materials. Laboratory tests and results are reported. Analysis of test results and observations are drawn, all results are completed in the form of tables & graphical representation will be established for comparison of two natural and recycled aggregate with reference to strength and workability of concrete. Based on this comparative study of this experimental work, conclusions and recommendations are presented in order to establish guideline for future. Aggregate characteristics have significant effects on concrete workability and other properties. However, limited work has been conducted studying the effects systematically and quantitatively. There is little published data on use of recycled aggregate as substitute to natural aggregate. The process of forming natural aggregate deposits occurred over billions of years and as they work exploited, they are not replenished at the rate are being used .Environmental pressure, cost and a storage in this type of deposit in developed countries necessitated the manufacturing of concrete aggregate. In this work, an attempt has been made to study the use of recycled aggregates, its strength, its weaknesses and the overall effectiveness when the natural aggregate replaced by recycled aggregate with particular proportions in constructions activities. Material crushing, screening and segregation plant and conveyor transfer of material, large stockpiles/spoil heaps with no containment where the surface is vulnerable to wind erosion. Vehicles travelling over unmade surfaces, particularly at high speeds, cause particles to be elevated with the finer particles capable of being carried long distances beyond site boundaries. Transportation and handling of material using loaders, excavators, and Lorries can produce dust through spillage and wind erosion. The following help eliminate wind entrainment of dust and therefore stop the dust becoming airborne at source. Waste arising from construction and demolition (C & D) constitutes one of the largest waste streams within the European Union (EU) and many other developed countries. Of this a large proportion of potentially useful material disposed of as landfill. The environmental and economic implications of this are no longer considered sustainable and, as a result, the construction industry is experiencing more pressure than ever before to overcome this practice. The results of an extensive experimental programmed aimed at examining the performance of Portland-cement concrete produced with natural and coarse recycled aggregates are reported in this paper. The effects of up to 100% coarse recycled concrete aggregate on a range of fresh, engineering and durability properties have been established and assessed its suitability for use in a series of designated applications. Concrete is the premier construction material across the world and the most widely used in all types of civil engineering works, including infrastructure, low and high-rise buildings, environment protection and local/domestic developments. Concrete is a manufactured product, essentially consisting of cement, aggregates, water and admixture(s). Among these, aggregates, i.e. inert granular materials such as sand, crushed stone or gravel form the major part. In fact many governments throughout the world have now introduced various measures aimed at reducing the use of primary aggregates and increasing reuse and recycling, where it is technically, economically, or environmentally acceptable. For example, the UK government has introduced a number of policies to encourage wider use of secondary and recycled concrete aggregate (RCA- defined as minimum of 95% crushed concrete) as an alternative to naturally occurring primary aggregates. These include landfill and future extraction taxes to improve economic availability and support to relevant research and development work. The paper explores a theme on the need for recycled aggregates and highlights its potential use as aggregate in new concrete construction. It is now widely accepted that there is a significant potential for reclaiming and recycling demolished debris for use in value added applications to maximize economic and environmental benefits. As a direct result of this, recycling industries in many part of the world, including South Africa, at present converts low-value waste into secondary construction materials such as a variety of aggregate grades, road materials and aggregate fines (dust). Often these materials are used in as road construction, backfill for retaining walls, low-grade concrete production, drainage and brickwork and block work for low-cost housing. 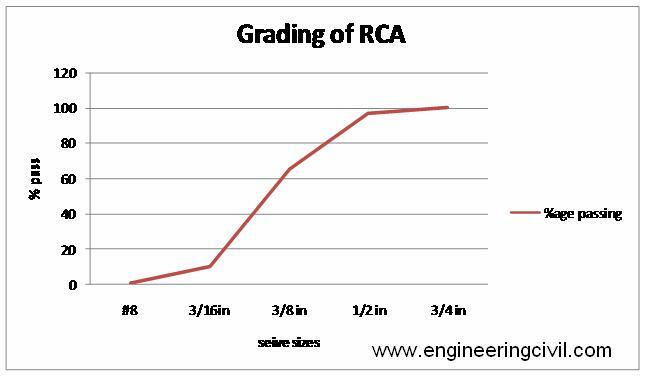 While accepting the need to promote the use of RCA in wider applications, it must be remembered that the aggregate for concrete applications must meet the requirements set in relevant specifications for its particular use. The gap between these interests has to be reduced in steps that are manageable and the use of RCA in structural concrete has to be promoted gradually. Similarly considerable attention is required to the control of waste processing and subsequent sorting, crushing, separating and grading the aggregate for use of the concrete. Construction industry. Super plasticizing admixture- to maintain a nominal slump of 75mm, were used throughout the work for concrete production. An air-entraining admixture based on a synthetic ether sulphate was used to establish entrained air stability and the freeze/thaw resistance of concrete mixes. The study shows that plain as well as reinforced concrete can be crushed using primary and secondary crushers to provide crushed aggregate with an acceptable quality to current BS 882 requirements. Because of the attached cement paste in the RCAs, the density of these materials is about 3-10% lower and water absorption is about 3-5 times higher than the corresponding natural aggregates. It is therefore important that density and water absorption of RCA are determined carefully, prior to their use in concrete production. 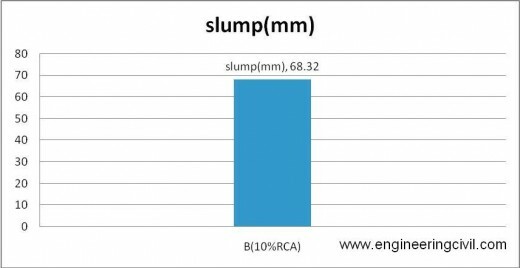 The results also indicate that for RCA samples obtained from four different sources, there was no significant variation in strength of concrete at a given RCA content, indicating no significant effect if adequate provisions for RCA characteristics are made. The RCA concrete mixes were found to possess bulk engineering and durability properties similar to the corresponding natural aggregate concretes, providing they were design to have equal strength. Recent cracking and faulting problems occurring in jointed concrete pavements made with recycled concrete coarse aggregate led to an examination of some of the basic physical and mechanical properties of concrete made with recycled concrete as coarse aggregate. Recycling of old Portland cement concrete pavements (PCCP) as aggregate in new PCCP has been a viable alternative construction approach in recent years for a number of reasons. This approach lessens the drain on the sometimes limited local natural aggregate supply; it often reduces total transportation costs for materials on a paving project; and it eliminates or lessens the increasingly critical environmental problem of proper disposal of waste concrete. Incorporation of the old concrete as aggregate into the new concrete is a viable option, however, only if the recycled concrete aggregate and the new concrete containing it possess those characteristics needed to perform satisfactorily in the environment and service conditions in which they are placed. The recycled coarse aggregate will invariably have lower specific gravity and higher absorption than the original aggregate, due to the presence of cement paste in the recycled aggregate. The compressive strengths of recycled aggregate concrete are lower than those of the same mix designs made with virgin aggregate. Required compressive strengths can easily be met using recycled coarse aggregates. Comparison of the results from the original and recycled gravel mixes indicates some recycled mixes had higher flexural strength than the original mixes. As with compressive strength, both were well above required levels. 2.3 THE ROLE AND INFLUENCE OF RECYCLED AGGREGATE, IN “RECYCLED AGGREGATE CONCRETE”. In terms of composition, recycled aggregates, obtained from crushed waste concrete, consist of original aggregates and adhered mortar. Two factors which need to be taken into consideration in the use of these recycled materials in the production of new concrete is their structural behavior and durability. It is the percentage of recycled aggregate used, which influences the structural behavior of the new concrete. Also, durability of the recycled aggregate concrete depends on the heterogeneity of the recycled particles. Hence it is important to identify the mechanical, physical and chemical properties of the original coarse aggregates, as well as the original fine aggregates present in adhered mortar, to understand their suitability in the production of recycled concrete. The research involved experiments to analyze the structural behavior of recycled aggregate concrete, using different percentages of recycled aggregates. Construction and demolition waste control becomes indispensable from the moment that statistics refer to the waste’s volume approaching an unsustainable level. The utilization of waste material as secondary raw material is the solution to the problem of an excess of waste material, not forgetting the parallel trend of improvement of final product quality. A systematic use of waste materials involves the classification of the mentioned waste materials according to their strength capacity, durability and utility. The basic components obtained from construction and demolition waste in concrete, masonry and mortar. Secondary raw aggregates are obtained from the waste crushed concretes. From a quality point of view, the original aggregates are heterogeneous in composition being derived from different minerals and adhered mortar. Primary raw coarse aggregate (granite) and sand (crushed limestone) were used indifferent concrete mixes. 2.4 Use of Recycled Aggregates in Construction. Crushed sound and clean waste concrete of at least 95% by weight of concrete with typical total contamination lower than 1% of the bulk mass. Class 1A RCA is a well graded RCA with no more than 0.5% brick content. Partial replacement (30%) for natural aggregate in concrete for sidewalks, Krebs and gutters. Also for structural concrete (with mix adjustment) and inferior permeability and shrinkage properties Available commercially particularly in the Sydney and Melbourne market. Recycled Concrete and Masonry (RCM).Graded aggregate produced from sorted and clean waste concrete and masonry. 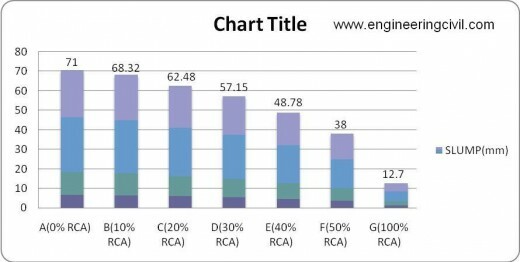 Class 1B RCA is a class 1A RCA blended with no more than 30% crush brick. Road base course and sub base material, available commercially. There is increasing demand and interest in aggregates from non-traditional sources such as from industrial by-products and recycled construction and demolition (C&D) wastes. The American Concrete Institute (ACI) focuses on the removal and reuse of hardened concrete whereas the Department of the Environment and Water Resources in Australia has developed a guide on the use of recycled concrete and masonry materials. Recycled aggregates are aggregates derived from the processing of materials previously used in a product and/or in construction. Examples include recycled concrete from construction and demolition waste material (C&D), reclaimed aggregate from asphalt pavement and scrap tires. Coarse recycled concrete aggregate (RCA) is produced by crushing sound, clean demolition waste of at least 95% by weight of concrete, and having a total contaminant level typically lower than 1% of the bulk mass. Other materials that may be present in RCA are gravel, crushed stone and hydraulic-cement concrete. 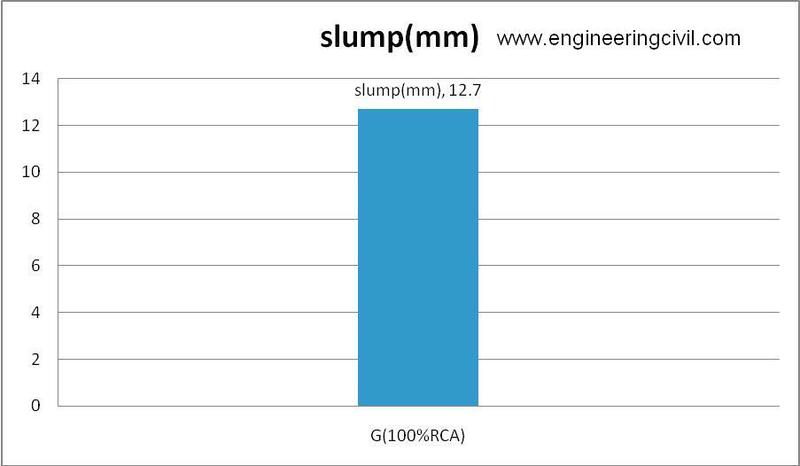 RCA has a lower specific gravity (2.44–2.46) and higher water absorption (4.5–5.4) than most natural aggregates. Fine RCA, in particular, has an even lower SG of around 2.32 and very high water absorption of 6.2%. RCA concrete has unit weight in the range of 2240–2320 kg/m3.It has higher water demand and gave lower compressive strength than control concrete made from natural aggregate at equal water to cement ratio RCA concrete has similar flexural strength but lower elastic modulus than control. RCA also resulted in higher drying shrinkage and creep but comparable expansion to control. The adherence of mortar to the surface of RCA was the main cause of higher water absorption, lower SG and poor mechanical properties. Excessive expansion or swelling can be caused by contamination by plaster and gypsum. Adjustments of the mix design would be necessary to offset the effect of RCA on workability, absorption, strength and shrinkage. The review presented in this report clearly indicates an increasing trend and incentive for the greater use of manufactured and recycled aggregates in construction. There are, however, limitations to the use such materials. This report focuses on known benefits and limitations of a range of manufactured and recycled aggregates. Successful strategy must be based on both cost and performance. In terms of performance, many countries are focusing on recycled concrete aggregates (RCA) which is proven to be practical for non-structural concretes and to a limited extent for some structural-grade concrete. However, the processing and quality control cost associated with their use plus the premium paid for mix design adjustment to achieve the same strength grade as concrete with natural aggregates can vary considerably. Significant quantities of waste are being produced and discarded by the construction and demolition (C & D) industries within the Asia and many other developed countries, and this is likely to increase considerably in the future. On the other hand, in recent years the construction industry throughout the world has supported initiatives to improve sustain ability by increasing the use of recycled aggregates in concrete production. This is mainly because of the depletion of quality primary aggregates and in some quarters, greater awareness of environmental protection. It is now widely accepted that there is a significant potential for reclaiming and recycling demolished debris for use in value added applications to maximize economic and environmental benefits. As a direct result of this, recycling industries in many part of the world, including South Africa, at present converts low-value waste into secondary construction materials such as a variety of aggregate grades, road materials and aggregate fines (dust). Often these materials are used in as road construction, backfill for retaining walls, low-grade concrete production, drainage and brickwork and block work for low-cost housing. With this background, the study reported here was undertaken to examine suitability of recycled coarse aggregates (RCA). The conclusions of this study are, Water absorption of RCA was 5 to 9 times higher and specific gravity of is 15% to 20% lower than the NCA. Furthermore, RCA had 9 to 11% lower density. Attached cement mortar and voids in that are the basic reason behind such behavior. Water absorption was plotted with logarithmic time scale in fig 2. 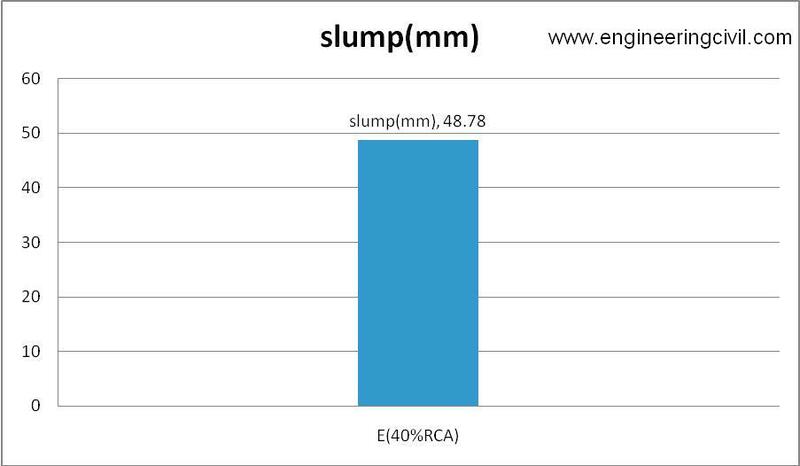 This shows that major water absorption for any recycled aggregate is occurred within first 10 min. It also indicates here that any washing treatment can be made to this aggregate for 10min can work properly. These aggregates are used without any type of treatment, i. e. without washing or any other treatment. Water absorption, specific gravity and density will further improve, if one can use these aggregates by proper treatment. Known source of RCA or unknown source of RCA has not major effect for Water absorption, specific gravity and density. Both types of aggregates are showing almost similar properties. Elongation and flakiness index were observed little higher for RCA. 2.6 Recycled Concrete as Aggregate for Structural Concrete Production. A comparative analysis of the experimental results of the properties of fresh and hardened concrete with different replacement ratios of natural with recycled coarse aggregate is presented in the paper. Recycled aggregate was made by crushing the waste concrete of laboratory test cubes and precast concrete columns. Three types of concrete mixtures were tested: concrete made entirely with natural aggregate (NAC) as a control concrete and two types of concrete made with natural fine and recycled coarse aggregate (50% and 100% replacement of coarse recycled aggregate). Ninety-nine specimens were made for the testing of the basic properties of hardened concrete. Load testing of reinforced concrete beams made of the investigated concrete types is also presented in the paper. Demolition of old and deteriorated buildings and traffic infrastructure, and their substitution with new ones, is a frequent phenomenon today in a large part of the world. 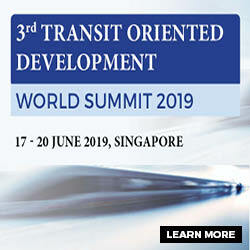 The main reasons for this situation are changes of purpose, structural deterioration, rearrangement of a city, expansion of traffic directions and increasing traffic load, natural disasters (earthquake, fire and flood), etc. For example, about 850 millions tones of construction and demolition waste are generated in the EU per year, which represent 31% of the total waste generation. In the USA, the construction waste produced from building demolition alone is estimated to be 123 million tons per year. The most common method of managing this material has been through its disposal in landfills. In this way, huge deposits of construction waste are created, consequently becoming a special problem of human environment pollution. For this reason, in developed countries, laws have been brought into practice to restrict this waste: in the form of prohibitions or special taxes existing for creating waste areas. On the other hand, production and utilization of concrete is rapidly increasing, which results in increased consumption of natural aggregate as the largest concrete component. For example, two billion tons of aggregate are produced each year in the United States. Production is expected to increase to more than 2.5 billion tons per year by the year 2020. This situation leads to a question about the preservation of natural aggregates sources; many European countries have placed taxes on the use of virgin aggregates. A possible solution to these problems is to recycle demolished concrete and produce an alternative aggregate for structural concrete in this way. Recycled concrete aggregate (RCA) is generally produced by two-stage crushing of demolished concrete, and screening and removal of contaminants such as reinforcement, paper, wood, plastics and gypsum. Concrete made with such recycled concrete aggregate is called recycled aggregate concrete (RAC). The main purpose of this work is to determine the basic properties of RAC depending on the coarse recycled aggregate content, and to compare them to the properties of concrete made with natural aggregate (NAC). On the basis of our comparative analysis of test results of the basic properties of concrete with three different percentages of coarse recycled aggregate content (0%, 50% and 100%), the following conclusions are made. The way of preparing recycled aggregate for concrete mixtures influences the concrete workability: workability of concrete with natural and recycled aggregate is almost the same if ?water saturated—surface dry? recycled aggregate is used. Also, if dried recycled aggregate is used and additional water quantity is added during mixing, the same workability can be achieved after a prescribed time. Additional water quantity depends on the time for which the same workability has to be achieved. It is determined as water quantity for which the recycled aggregate absorbs for the same period of time. Bulk density of fresh concrete is slightly decreased with increasing quantity of recycled aggregate. The type of coarse aggregate has no influence on the air content in concrete. Concrete compressive strength mainly depends on the quality of recycled aggregate. If good quality aggregate (obtained by crushing higher strength class concrete as in this case) is used for the production of new concrete. The recycled aggregate has no influence on the compressive strength, regardless of the replacement ratio of natural coarse aggregate with recycled aggregate. The same conclusion is valid for concrete tensile strength (splitting and flexural). The water absorption of concrete depends on the quantity of recycled aggregate. The amount of absorbed water is proportionally increased with increasing recycled aggregate content. Water absorption depends on the porosity of cement matrix in the new concrete and porosity of cement matrix of the recycled concrete: if recycled aggregate is produced from low porosity waste concrete, water absorption of the new concrete depends on the achieved structure of the new cement matrix. 2.7 RECYCLED AGGREGATE CONCRETE: A SUSTAINABLE BUILT ENVIRONMENT. In the present study the influence of recycled coarse aggregate (RCA) obtained from three different sources having different ages of structures are on the properties of recycled aggregate concrete (RAC) are investigated. RAC mixes are prepared with each source of RCA separately. In order to assess the performance of RAC in comparison with normal concrete, two normal concrete mixes prepared with 100% natural coarse aggregate. Locally available natural sand is used in all mixes. Recycling of construction and demolition waste has been considered from two main environmental aspects point of view: solving the increasing waste disposal crisis and save the depletion of natural resources. 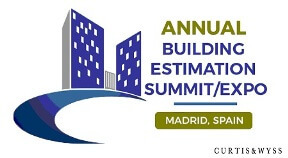 In the recent time due to significant increase in prices of natural raw materials of construction, and rise in the cost of waste storage in many regions, it has also become a burning issue (Ajdukiewwicz and Kliszczewicz, 2007).There is a scarcity of conventional building materials due to rapid construction activity and growing demand of houses in urban areas. Rapid industrialization has lead to the generation of huge quantities of construction and demolition wastes, which arises major problems of disposal. The disposal and utilization of construction and demolition waste is one of the major problems in India. The recycling technology, not only solves the problem of waste disposal, but reduces the cost and preserves environment also. This also gives the way for the sustainable built environment in the construction industry. Used of recycled aggregate (RA) in concrete can be described in environmental protection and economical terms. The application of recycled aggregate to use in construction activities have been practice by developed European countries and also of some Asian countries. 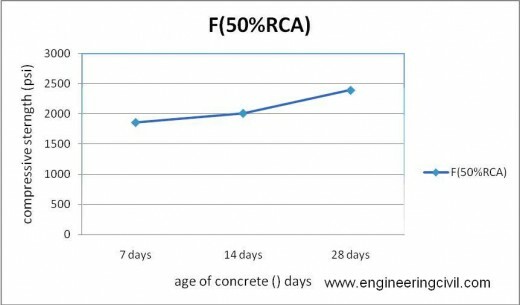 This paper reports the results of an experimental study on the mechanical properties of recycled aggregate concrete (RAC) as compared to natural aggregate concrete (NAC). 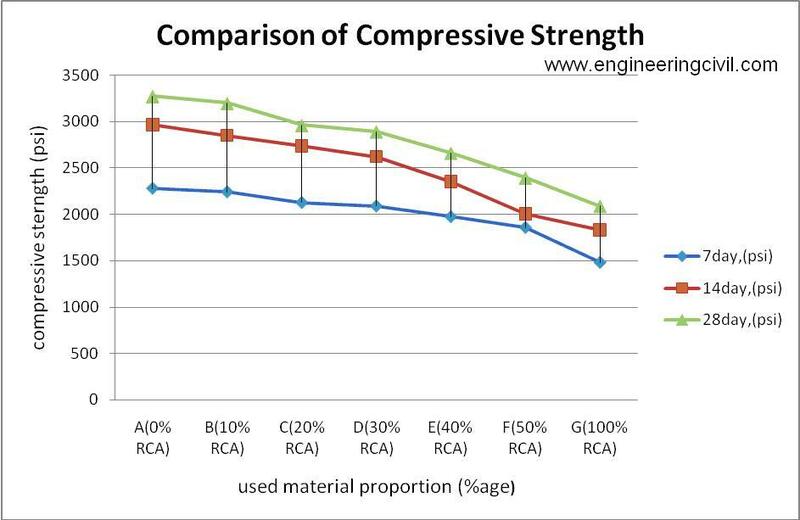 The effects of size of RA on compressive strength were discussed in this paper. 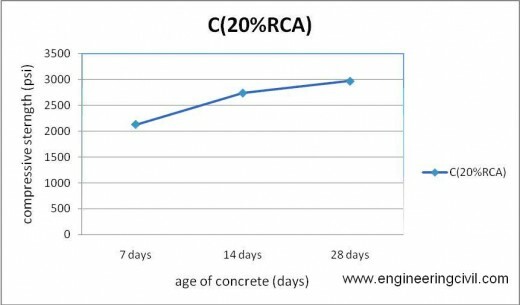 The 100% of RA used in concrete mix to replace the natural coarse aggregate in concrete with 100 x 100 x 100 cube mm were cast with target compressive strength is 25 Mpa. The 28-day compressive strength was crushed at 3, 14, 28 days are reported. 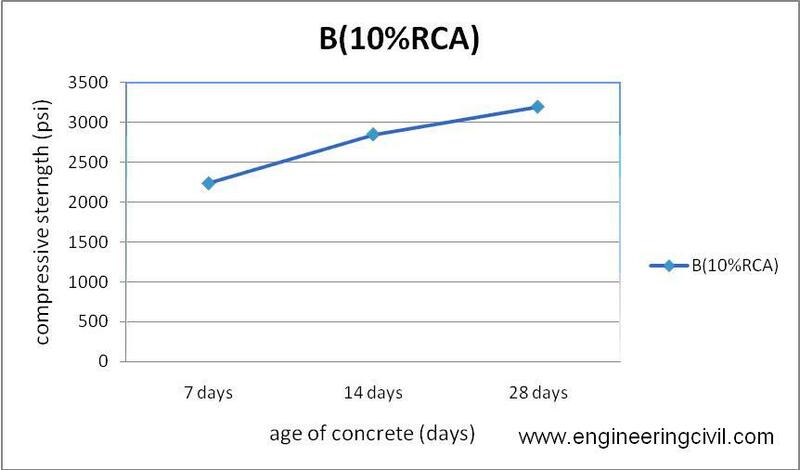 It was found the size of 10mm and 14 mm of RA in RAC is quite similar performance with 10mm and 14mm size of natural aggregate (NA) in natural aggregate concrete (NAC). The applications of recycled aggregate in construction have started since end of World War II by demolished concrete pavement as recycled aggregate in stabilizing the base course for road construction (Olorusongo, F.T., 1999). The advantages of using recycle aggregate concrete in construction industry are of economic values and environmental issues. The wastes from construction and demolition works are of large volume and increasing in time. To overcome this issue, sustainable concrete construction is one of the strategies to be considered by the construction industry. One way of achieving these is to introduce recycled aggregates from these wastes of construction and demolition works into the production of concrete. 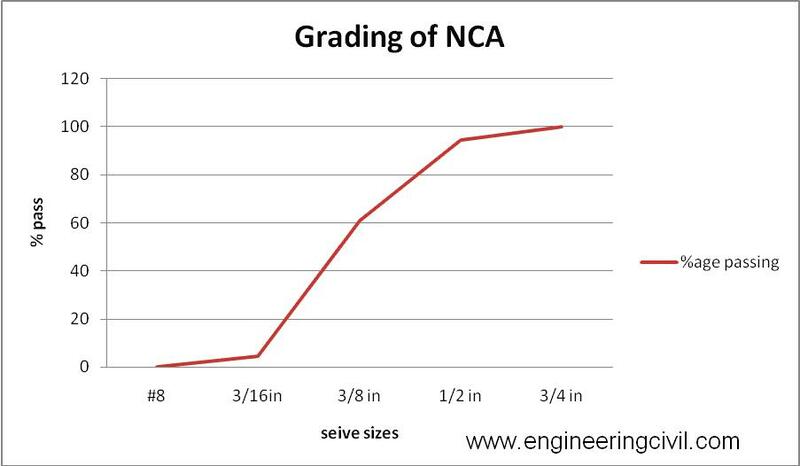 The 28-day target compressive strength for all six mixes was achieved to 25 MPa even though the RAC strength is lower than NAC. 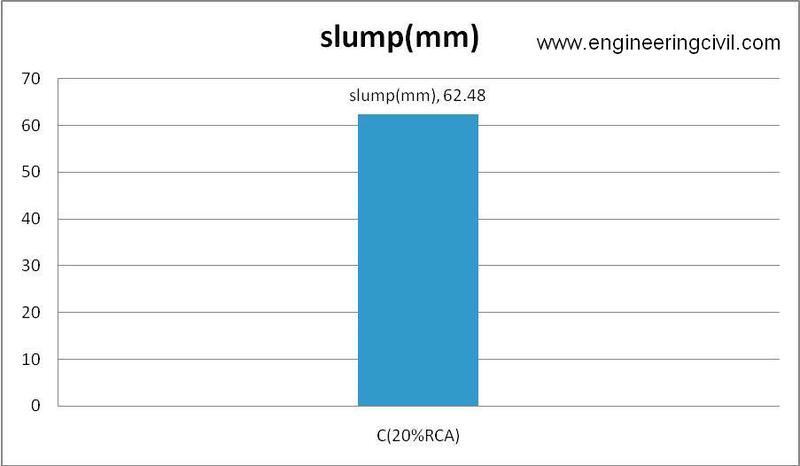 The compressive strength for RAC is within the same range compared to NAC and reaching up to 25MPa at day 28 of curing. The size of RA was affected the strength in compressive strength, the results shows the 10mm and 14mm size of RA is better than 20mm size. The workability (slump test) of RAC is lower than NAC because the rate absorption of RA is higher than NA. 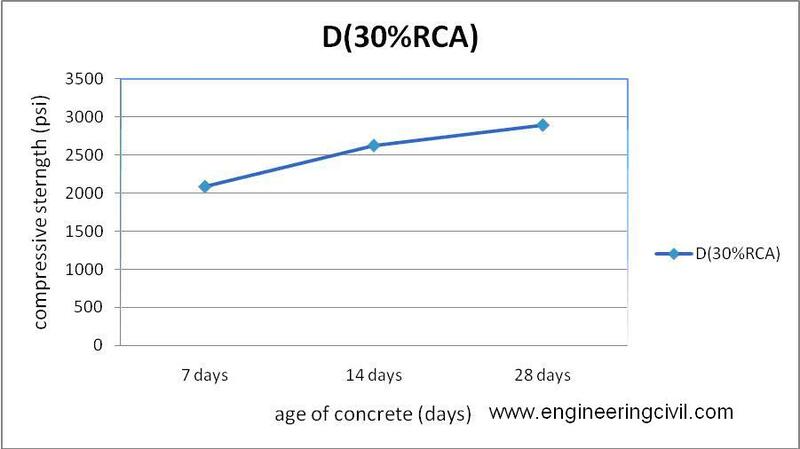 It is proven that RA size affected the workability and strength of concrete and can be seen especially in water absorption. The measurement of workability is the main test which is performed on fresh concrete. the workability is defined as “the composite property of fresh concrete involving ease of placing and resistance to segregation is called workability “ .the proportions and properties of water ,cement, aggregates, admixtures and other replaced materials affect the workability of concrete .various concreting operations ,if properly done increase the workability of concrete .to be more specific , the main factors affecting the workability of concrete are water content ,size of aggregates ,shape of aggregate ,surface texture of aggregates grading and air entraining agents . workability is mainly affected by water cement ratio of mix and it increase with increase in water content on account of greater lubrication .the surface texture of the aggregates such as size of the aggregate, shape of the aggregates also affects the workability. Angular aggregates reduce the workability .rounder and smoother aggregates requires less water for lubrication than angular and rougher aggregates .hence workability is increased in the former case with a given water cement ratio . fresh concrete when unsupported will flow the side and sinking in height will take place .this vertical settlement is known as slump .the workability ease of mixing ,transporting ,placing and compaction of concrete depends on wetness of concert (consistency) i.e. water content as well as properties of fine aggregate to coarse aggregates to cement ratio . The workability of concrete can be measured by various methods such as slump test, compacting factors tests and German flow table test. Slump test is generally used in field and laboratory .it is reliable and convenient test. In this research work the slump test has been used to study the workability of concrete. It is explained in this article. This is a test used extensively in site work all over the world. The slump test does not measure the workability of concrete ,although ACI 116R-90 describes it as a measure of consistency ,but it is very useful in detecting variations in the uniformity of mix of given nominal proportions. The slump test is prescribed by ASTM C 143-90a and BS 1881 Part 102:1983.The mould for the slump test is frustum of cone, 300mm (12in) high. It is placed on a smooth surface with the smaller opening at the top, and filled with concrete in three layers. Each layer is tamped 25 times with a standard 16 mm (5/8in).diameter steel rod, rounded at the end, and the top surface is stuck off by mean of sawing and rolling motion o the tamping rod. 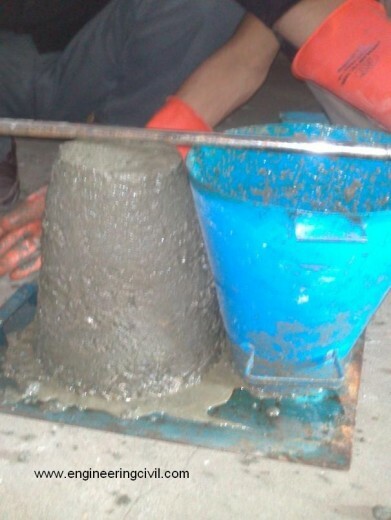 The mould must be firmly held against its base during the entire operation: this is facilitated by handles or foot –rests brazed to the mould Immediately after filling, the cone is slowly lifted, and the unsupported concert will now slump –hence the name of the test .The decrease in the height of slumped concrete is called slump, and is measured to the nearest 5mm (1/4in).The decrease is measured to the highest point according to BS 1881: Part 102:1983, but to the “displaced original center” according to ASTM C 143-90a .In order to reduce the influence open slump of the variation in the surface friction. In the, mould and its base should be moistened at the beginning of every test, and prior to lifting of the mould the area immediately around the base of the cone should be cleaned of concrete which may have dropped accidentally. The slumped concrete takes various shapes, and according to the profile of slumped concrete, the slump is termed as true slump, shear slump or collapse slump. If a shear or collapse slump is achieved, a fresh sample should be taken and the test repeated. 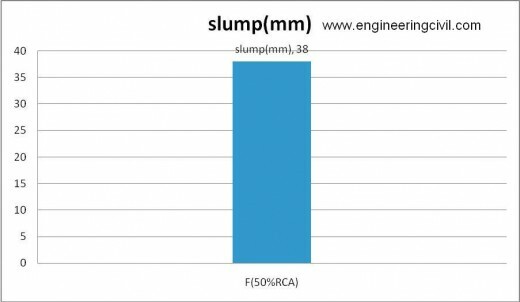 A collapse slump is an indication of too wet a mix. Only a true slump is of any use in the test. A collapse slump will generally mean that the mix is too wet or that it is a high workability mix, for which slump test is not appropriate. Very dry mixes; having slump 0 – 25 mm are used in road making, low workability mixes; having slump 10 – 40 mm are used for foundations with light reinforcement, medium workability mixes; 50 – 90 for normal reinforced concrete placed with vibration, high workability concrete; > 100 mm. If instead of slumping evenly all rounds as in a true slump (Fig 3.1), one half of the cone slides down an Inclined plane, a shear slump is said to have taken place and test should be replaced. If shear slump persists, as may be the case with harsh mixes, this is an inclination of lack of cohesion in the mix. Mixes off stiff consistency have a zero slump, so that in the rather by range, no variation can be detected between mixes of different workability .rich mixes behave satisfactorily, their slump being sensitive to variations in workability however, in a lean mix a with a tendency to harshness, a true slump can easily change to the shear type, or even to collapse (fig3.1) and widely different values of slump can be obtained in different samples from the same mix. Despite these limitations, the slump test is very useful at the site to check on the batch or hour- to- hour variation in the materials being fed into mixer, as increase in slump may mean, for instance, that the moisture content of aggregate has unexpectedly increased ;another cause would be a change in the grading of the aggregates ,such as a defiance of sand .too low and too high slump gives immediate waning and enables the mixer operator to remedy the situation .this application of the slump test as well as its simplicity ,is responsible for its widespread use. A mini slump test was developed for the purpose of assessing the influence of various water-reducing admixtures and super plasticizers on neat cement paste. The test may be useful for the specific purpose, but it is important to remember that workability of concrete is affected also by factors other than the flow properties of the constituent cement paste. In the hardened state of concrete, the various properties which need consideration are strengthen ,durability , permeability , elasticity shrinkage ,thermal expansion and creep etc . The strength of concrete is defined as the ability to resist force and structural purposes it is taken as the unit force required to cause rupture which may be compressive stresses, tensile stresses or shearing stresses .it is an important property as far as structural designs are concerned. 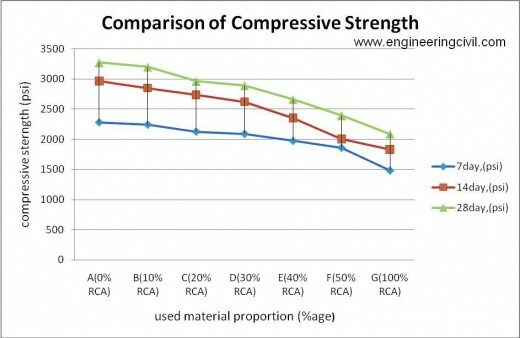 Indirectly it gives idea of most of the other properties (durability, water resistance, water tightness etc) of concrete .the concrete has high compressive strength and therefore ,it is normally required to resist compressive stresses .the compressive strength is the criterion its quality .others strengths are generally describes in terms of percentage of compressive strength. 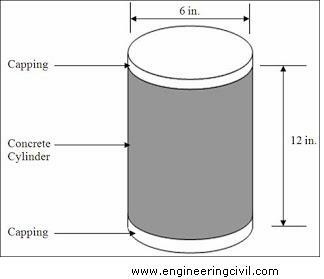 A further consideration is that of compressive strength test are easy to make .this strength of concrete is expressed in pounds per square inches (psi) or KN/cm2. Lower water content ratios, richer mixes, lower air content, longer periods and greater ages improve the strength of concrete. The most common of all tests on hardened concrete is that compressive strength tests because it is an easy test to perform .the usual test for compressive strength determination implies either cubes or cylindrical specimen (height equal twice the diameter) moist –cured and then subjected to slow loading at a specified rate until the rupture occurs. The desirable characteristics of concrete are qualitatively related to its strength; but mainly because of the intrinsic importance of the compressive strength of concrete in structural design. Although invariably used in construction, the compressive strength test has some disadvantages, but it has become in French parlance, a part of the engineer’s baggage cultural. The strength test results may be affected by variations in :type of test specimen; specimen; type of mould; curing; preparation of end surface; rigidity of testing machine; and rate of application of stress. For this reason testing should follow a single standard, with no departure from prescribed procedures. The standard cylinder is to 6in .in diameter ,12 in .long ,or 150mm by 300 mm , cylinder are cast in a mould generally made of steel of cast iron ,with a slumped base ;cylinder mould are specified by ASTM C 470-94,which allows also the use of single use mould ,made of plastic, sheet metal and treated card board. The method of making test cylinder is prescribed by BS 1881 Part 110:1993 and by ASTM C 192-90a. The procedure is similar to that used with cubes, but there are differences in details between the British and American standards. The testing of cylinder in compression requires that the top surface of the cylinder must be in contact with the platen of the testing machine .this surface, when finished with a float, is not smooth enough for testing and requires further preparation; this is a disadvantage of cylinder tested in compression. When tested in compression, the top surface of the cylinder is brought in contact with the platen of the testing machine and, because this surface is not obtained by casting against a machined plate but finished means of float .the top surface is somewhat rough and not truly plane. Under such circumstances, stress concentrations are introduced and the apparent strength of the concave ones as they generally lead to higher stress concentrations. In addition to the absence of high spots, the contact surface should be free from grains of sand or other debris, which would lead to premature failure and in extreme cases .to sudden splitting. There are three possible means of overcoming the ill effect of uneven end surface of the specimen: capping, grading and packing with a bedding material. Packing is not recommended because it results in an appreciable lowering of the apparent mean strength of concrete ,compared with capped and often even with smooth –trowel led .specimen at the same t8me ,the scatter of strength result is appreciable reduce because the influence of the defects in plainness (responsible for the large variations in strength) is eliminated . The reduction in strength introduced by packing, usually of the soft board, cardboard, or lead arises from lateral strains induced in the cylinder by the Poisson’s ratio effect in the packing material Poisson’s ratio of this material generally higher than that of concrete so that splitting is induced. This effect is similar to, although usually greater than, that of lubricating the friction between the specimen end and the platen on lateral spread of the concrete .such lubrication has been found to reduce the strength of the specimen. Capping with a suitable material does not adversely affect the measure d strength and reduce sits scatter compared with uncapped specimen .an ideal capping material should have strength and elastic properties similar to those of the concrete in the specimen; there is then no enhanced tendency to splitting, and a reasonably uniform distribution of stress over the cross –section of the specimen is achieved. In this research works following material are used. Soundness test was performed on cement samples according to B.S with help of Le-chatlier apparatus .from this test the cement is behaved not to expansion/sounded. This cement meets minimum requirements of fineness. To get the compressive strength of cement, cubes were cast and tested after 3 7 and 28 days. The compressive strengths were 2185, 5283 & 6857 psi respectively after 3, 7 and 28 days. The bulk specific gravity was calculated according to ASTM C 128-79. It was found to be 2+080 the absorption after 24 hours of soaking was 1.40%. The total moisture content of fine aggregates was determined according to ASTM C 566-78 and was equal to 0.60%. The specific gravity and absorption test were carried out as per specifications. The concrete mix of 1:2:4 was taken for the whole experimental work both for natural coarse aggregate and recycle coarse aggregate. The water cement ratio of .070 was carried out during the whole experimental work. By quality control it is meant that control of variations in the properties of mix design & as well control mix. Attention is also given to the accuracy of all those operations which affect consistency of concrete i.e. batching, mixing, placing, carrying & testing which ultimately affect the properties of hardened concrete. Slump test was carried out to measure workability of concrete by the different proportion of RCA to NCA. 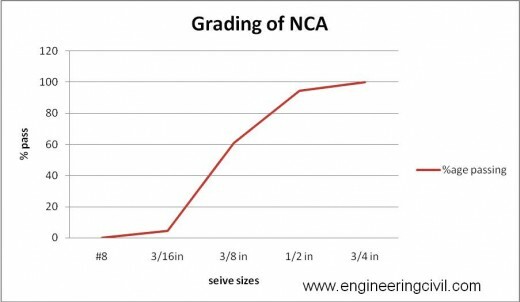 When the behavior of RCA has been investigated keeping in view the variation of proportion of RCA to NCA with constant water cement ratio and mixed design .it was observed that the performance of concrete with RCA was somehow lower then NCA . • In this research work fauji cement was used, other types of cement can also be used in future. • The effect of various mixed design ratio can also be investigated in future. • In this research work RCA was obtained from a specific road bed sample(shell pump nawababad) however the RCA sample from different localities may be investigated in future. • The behavior of this RCA on the other properties of concrete such as segregation, flexural strength, permeability of concrete, durability of concrete ,shrinkage ,thermal cracking ,freezing and thawing action on the concrete can be investigated in the future research work. 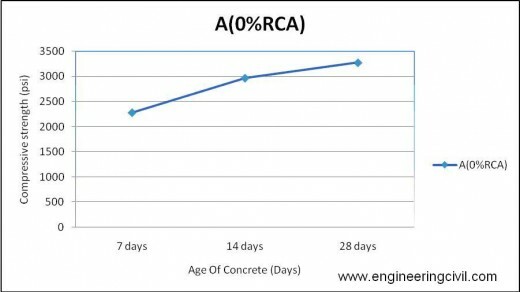 We at engineeringcivil.com are thankful to Engr.Bilal Riaz Chughtai for submitting this very useful topic on “Mechanical Properties Of Recycled Aggregates Concrete” to us. 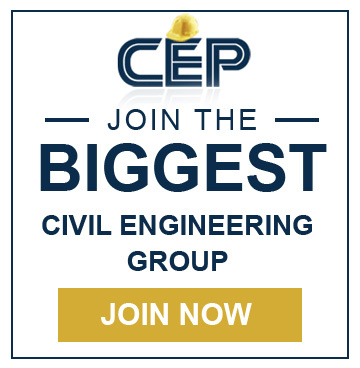 We are sure that this will be of great help to all the civil engineers who are looking for information related to the Mechanical Properties Of Recycled Aggregates Concrete. What are the differences in the behavior and properties of recycled-aggregate concrete when compared to normal-aggregate concrete?